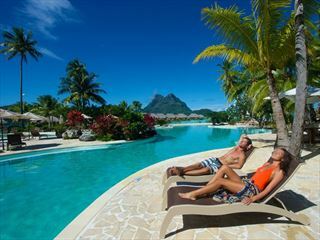 Boasting its own private beach and a stunning setting of luscious tropical gardens, Le Maitai offers a slice of Bora Bora's natural paradise at a great price. 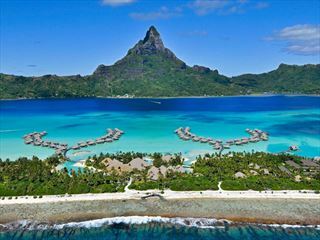 Just a 50-minute flight from Tahiti, you'll be taken aback by the hotel's sugary sands, stunning sunsets and turquoise lagoon. The traditional Polynesian welcome is friendly and inviting at Le Maitai, an atmosphere that transcends across the whole of the hotel. The accommodation here is charming, especially the Overwater Bungalows that jut out over the lagoon and offer a wonderful view of the marine life from the glass coffee table. Meanwhile, the Beach Bungalows are built in authentic Bora Bora style, and the Ocean and Garden Rooms offer gorgeous views and laidback decor. 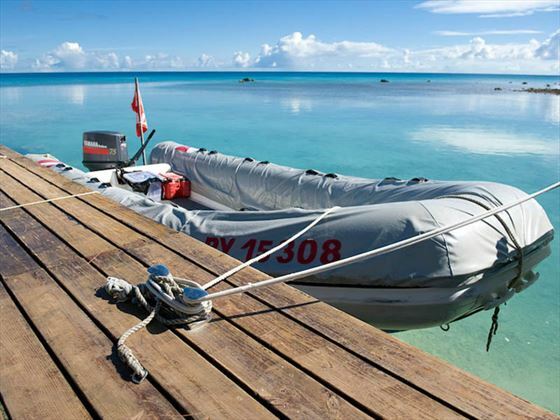 After a day of snorkelling, kayaking and relaxing on the beach, wander along to The Haera Mai, a friendly restaurant serving French Polynesian cuisine and boasting a fun BBQ and buffet once a week. There's also the lovely Tama'a Maitai, a more laidback eatery serving pizzas and salads throughout the day. As the sun starts to set, The Manuia Bar offers fantastic views and a tasty cocktail menu. 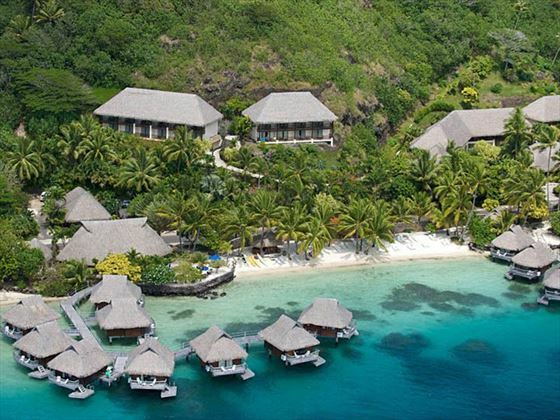 Hidden amongst luscious tropical gardens and close by to the stunning Matira Beach - the only public beach on Bora Bora - you can travel to Le Maitai Resort via a 50-minute flight from Papeete on the main island of Tahiti. From there, it's just a short vehicle transfer to the property and its surrounding natural beauty. 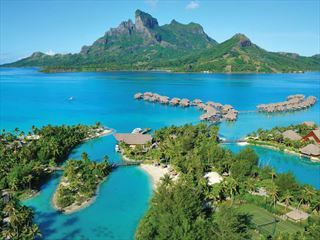 Overwater Bungalow - There are 13 of these fabulous bungalows perched over the beautiful lagoon. They boast a bedroom with a king size bed, vibrant flower decorations, and even a glass coffee table where you can relax and admire the marine life swimming beneath your feet. 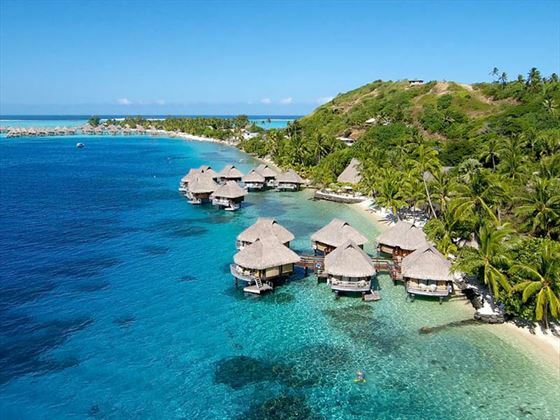 Beach Bungalow - Gorgeous bungalows perched right on the shore, with plenty of space and wonderful Polynesian-style decor including pandanus leaf roofs. 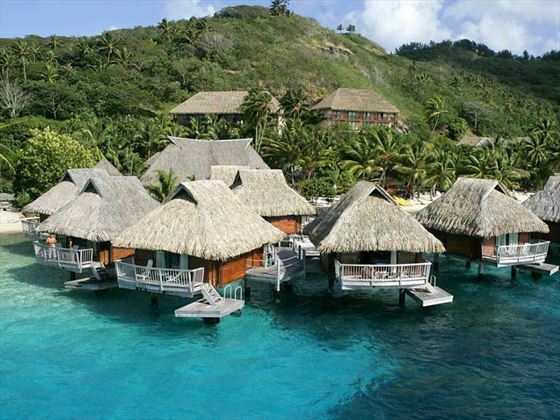 These bungalows benefit from being just a few steps away from the lagoon. 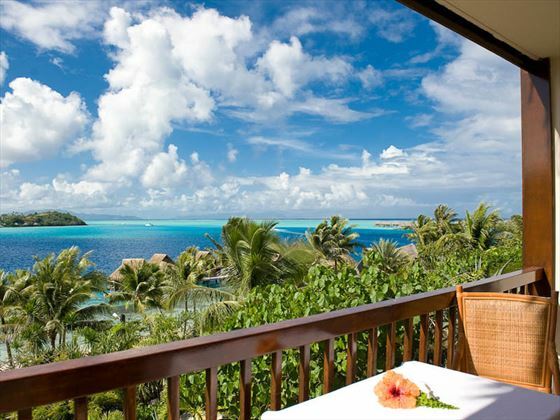 Ocean View Room - These rooms are nestled slightly back from the beach, but still boast glorious views of the turquoise ocean and the neighbouring islands of Raiatea and Tahaa. In the evenings, sit on your private balcony with a glass of wine. Garden View Room - These charming rooms are located within the lush gardens, and offer true seclusion and tranquility. The Haere Mai - With a name meaning 'Come here' in Tahitian, it'll come as no surprise that this restaurant offers friendly service and a welcoming atmosphere. The food is inspired by traditional French and Polynesian cuisine, whilst the Polynesian BBQ and buffet that takes place once a week (changing depending on the season) is a great way to try local foods and meet with others. The restaurant may be closed at certain times of the year. The Tama'a Maitai - Open every day from 11.30am to 9pm, this is a lovely laidback restaurant serving delicious food including salads, pizzas and sandwiches. We love that the eatery was inspired by a Polynesian chief's house (known as Fare Potee), and built using local materials like aito wood. The Manuia Bar - This is the perfect place to unwind, offering a great cocktail menu and charming authentic Polynesian decor. Open 5.30pm-10.30pm.